Switzerland is a booming market economy with one of the highest per capita GDP in the world, along with a high employment rate and skilled labor force. The nation is economically and politically stable, possesses a transparent legal system, has an excellent modern infrastructure, has exceptionally efficient capital markets, and offers low corporate tax rates. Its economy also comprises a well-developed service sector followed by financial services and a manufacturing company which specializes in high-technology, knowledge-based production. All these facilities and opportunities definitely make Switzerland a favorable destination for establishing a business. So, if you are thinking about starting a business in Switzerland, and are worried about the country’s company formation procedure, fret not – here’s a guide on how to start a business in Switzerland as a foreigner. For setting up a business in Switzerland, one must know the types of legal business entities the nation allows. A brief description of all the types is given below. As the name implies, a sole proprietorship is a type of business entity where only one person is responsible for the share capital as well as the profit and loss of the company and has 100% ownership over the company. This type of business structure is mostly preferred by small business owners and entrepreneurs as it doesn't require any minimum share capital at the time of registration and hence becomes easy for beginners to invest. In general partnership, two or more persons operate over a company as partners and are responsible for the share capital and profit and loss of the company. It is an association of people operating a commercial business. This type of business entity demands all partners to be Swiss residents and the company’s address to be a Swiss address. This business structure requires registration with Chamber of Commerce. This business structure enables the general partners to avail unlimited liability, while limited partners stay liable up to a certain agreed amount. Registration with Chamber of Commerce is mandatory in this type of business entity too. When a company comes under the title of the joint-stock company, the company is considered to be an independent legal entity. This is the most common form taken by businesses. For this business structure, the director or the member of the board must be a Swiss resident owning sole signatory rights. In a joint-stock company, liability is limited to the value of the company's assets and the minimum amount of shareholders equity is CHF 100,000, of which CHF 50,000 must be paid fully. This type of business entity requires a minimum shareholder’s equity of CHF 20,000, of which CHF 10,000 is required to be paid fully for. 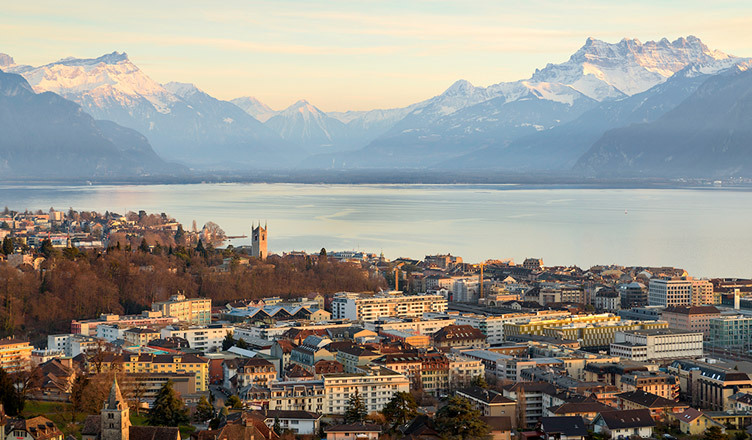 The authorized managing director who signs on behalf of the company requires being a resident of Switzerland. Generally, all members participate together in the management and representation of the LLC in Switzerland, however, the company’s management may be granted to non-members. This type of company is cheaper to start than a limited company, but unlike the joint stock company, the shareholders are publicly listed in the commercial register. This type of company is flexible to take the form of either a corporation or a limited liability company. In general, when a legally independent company which is affiliated to a foreign entity tends to operate more like a “Swiss” than a “branch” then it is termed as a subsidiary. In this business entity, the foreign parent company is legally responsible and the branch is subject to tax in Switzerland as a Swiss company. A branch in Swiss is a legally dependent structure but when it comes to financial aspects, it is an independent wing of its head office that operates outside of its home country. In this type, one Swiss resident with the legal authority is required. Your name must be officially approved before you start your business. Switzerland business registry is the authority that does the approval/disapproval of your business name. The only point to remember is your business name must not resemble the business name of any established company in Switzerland. The next important step is to draft the articles of association which must contain all the information about the company and its shareholders. The document must be then signed in the presence of the public notary. Under this step you must open a escrow account and put in your paid-up capital in the account. This step must be completed before you register your business. The drafted articles of association must be submitted to the officials with the application form for company registration and other supporting documents. All the aforementioned must be submitted to the Local Commercial Register so that your company can officially become a legal entity. Once your application has been approved in the 4th step, you will need to register for VAT for tax purposes. It is mandatory to fill the annual financial statements in Switzerland. Once you complete the registration, the Cantonal Social Security office (Ausgleichskasse) will send the paperwork for registering employees in the national social insurance system. This system includes retirement and survivors’ insurance benefits, disability insurance, occupational accident insurance and retirement pension. Why Starting a Business in Switzerland Is Ideal? Switzerland is home to the head offices of several multinational firms along with various support organizations and enterprises which contribute outstandingly to the nation’s economy. The Swiss government has created a business-friendly environment which encourages innovation by building a start-up framework that links performance, incentives, taxation and legal system altogether. The country provides an atmosphere where ideas can flourish making Switzerland an ideal place for starting a business. The nation also offers efficient and reliable administration along with a liberal labor market. These are few of the many reasons to form a business in Switzerland. So, what are you waiting for? Avail all these amazing benefits of starting a company in Switzerland and start planning your success journey today, and for any assistance on how to start a business in Switzerland feel free to contact us – we’ll be there right from a friendly advice to your whole business formation.